Wearing fragrance is one of the SCENT-SORY pleasures of life, and should be enjoyed by the wearer and those in your ‘inner’ circle. While some fragrances leave a “sillage” (or trail), you DON’T want your fragrance to announce your entrance! Similarly, you don’t want your fragrance to linger for hours after you have left an elevator, office or private space. You want your fragrance to enhance you, not to take over your presence! Here are some tips to ensure that you wear your scent and not let the scent wear you! The molecules in perfume respond to the warmth of skin, and by spraying the pulse points, where blood flow is the strongest, the fragrance will ‘‘rise’’ and envelop you by diffusing upwards. Therefore, a drop of perfume should be applied from the bottom up: at the ankles, behind the knee, in-between the thighs, at the cleavage, at the inside of the wrists, inside the elbows, at the nape of the neck and behind the ears. If you use Eau de Parfum spray, which is not as strong as perfume, spray from the bottom up as well, but you may need to reapply it about 5 or 6 hours later. By applying fragrance this way, when you embrace a friend or loved one, they will experience your lovely scent. In this way, as your fragrance diffuses, it will last longer. Some women wear fragrance behind the neck, but, if hair has a lot of chemicals in it it will affect the fragrance and, in my opinion, is just a waste of expensive perfume! Men use after shave as a way to close their pores after shaving; the high alcohol content gives a “bracing” feeling to the “exfoliated” skin. After shave can be poured into “cupped” hands and applied to the face with a light “slapping” motion. It will cause a slight stinging sensation, but the pores will be closed and leave the wearer feeling refreshed and invigorated. Cologne has less alcohol and a higher concentration of essential ingredients, and can be sprayed or poured on the chest, as well as at the nape of the neck or even behind the neck (men’s hair is usually shorter than women’s!). • When spraying your wrists, don’t rub them together with force as the beautiful molecules will be “crushed” and will alter the balance of the scent. Allow the fragrance to be absorbed and to diffuse as the body heat “warms” the scent. • Don’t spray fragrance into the air and then walk into it! This is a waste of your precious scent and conflicts with any shampoo, gel, or hairspray you may have used. Also, the fragrance will land on your clothes and possibly stain light-colored delicate silks or cashmere. The fragrance will not last long and will have to be reapplied constantly. • Don’t expose fragrance to high temperatures (either high heat or freezing cold) or strong, direct sunlight. The precious ingredients will oxidize and “turn” color and also change the scent itself. Keep your fragrance in a dry, shaded area and preferably not in the bathroom. • Don’t wear conflicting deodorant soaps, scented gels, lotions or creams and then expect your expensive favorite scent to last all day. Many personal care products have a high concentration of strong fruity, floral or spicy chemicals and will overpower your beautiful scents. • People with dry skin will need to moisturize or hydrate their skin, so try wearing unscented almond oils or moisturizing creams so that skin is moisturized and your fragrance will cling to your skin and therefore last longer. Learn as much as possible about the art of fragrance-making and what it takes to put your unique stamp on a scent. Just the way cheap wine or champagne can give you headaches or hangovers, a fragrance made with cheap ingredients can give you headaches and allergies. Explore which aromas best suit your personality before buying them. Typically, fragrances are constructed with Top, Middle and Base notes. The Top note is the first scent impression you have. It is usually bright and refreshing and “hooks” you in! Think about when you wake up in the morning. You want something that will invigorate you to start your day. The Middle or “heart note” is what the top then transforms into after about 30-minutes and usually has a floral theme. The Base is what the fragrance finally evaporates into, lasting the longest with creamy vanilla, sensual musk or earthy, woodsy and green mossy notes. Today, the opportunity to develop your own signature fragrance is more available than ever. You can explore and evaluate different essential oils or fragrance blends and decide which one will smell best when blended together to reflect your unique individuality and personality. There is nothing more confidence-building than when someone asks: “What are you wearing, I love it?” and the response is: “ It’s mine… I created it myself”! Phillips formed SCENTERPRISES ™ a global marketing & branding consulting company in 1990 and has developed innovative fragrances for companies such as Avon, Banana Republic home products, Bath & Body Works, Burberry, Trish McEvoy, Origins and others. Sue’s company, www.scenterprises.com also presents Custom Perfume Seminars & Workshops and multi-‘scentsory’ events for Corporate Teambuilding, Customer Appreciation Programs, Bridal Events and Perfume Parties. These are fun, interactive, innovative, informative and creative, and listed as one of the BEST places to create your OWN perfume by CBS! As Adjunct Professor at the Fashion Institute of Technology (FIT), Sue Phillips taught the Cosmetics & Fragrance Marketing course in New York City for five years. She has been invited to spearhead Fragrance Development at LIM College – where Business meets Fashion as the new Adjunct Professor of Fragrance Development & Marketing commencing in 2014. Sue is the Spokesperson for P&G’s Downy Infusions, and has presented fragrance presentations in the Luxury Goods Arena, Fashion, Accessories, Cosmetics & Fragrance Industries. She has appeared frequently on FOX NEWS TV, HSN, BETTER CONNECTICUT, DAYTIME TAMPA, and her new Tribeca atelier “The Scentsorium” opened in January 2014 where she offers Custom Fragrance Experiences. Sue has written articles and blogs for beauty and lifestyle magazines, and is penning a novel about the competitive and exciting world of Scent! Do you have your special fragrance? 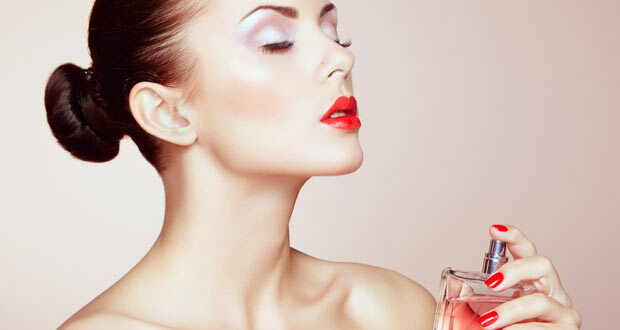 Are you guilty of some of these fragrance DONT’S? Thanks for all of these wonderful tips. Pingback: Viral Kik-You're Applying Your Perfume Wrong. We're Here To Help.